Manasota Beach Club – Best Place to Find Your Friends on Manasota Key and Define your Sport Activity; Great Tennis, Bocci, Dining, Accommodations and you never have to leave Manasota Key! Check it out! Beach yoga Meetups in Englewood – Great Place for Yoga EVERYDAY start your day healthy with this Healthy Lifestyle! Englewood Tennis Club – A Wonderful Tennis Program for everyone minutes away from Manasota Key on the mainland. Beach Road Boutique’s Wine Bar & Bistro – Anything you want is here from gifting, dining, paddle boarding, jet skiing, boating or dining, a hot spot that should be in your address book. Pearl Beach Inn – Promises not to disappoint, very coastal cottage atmosphere right on the beach! Stump Pass Marina – Direct access to Gulf, wonderfully accommodating for all your boating needs, and TiKi Bar! Venice YMCA – One of the finest YMCA’s in the country…outstanding! Jacaranda Country Club Catering – Best seafood buffet around, great tennis and golf. Farmers Market – It is always a great day on Deaborn Street in Englewood, featuring the Farmers Market on Thursdays till 2:00 P.M.
Venice Florida Downtown – Nearby and always entertaining with events and great restaurants! 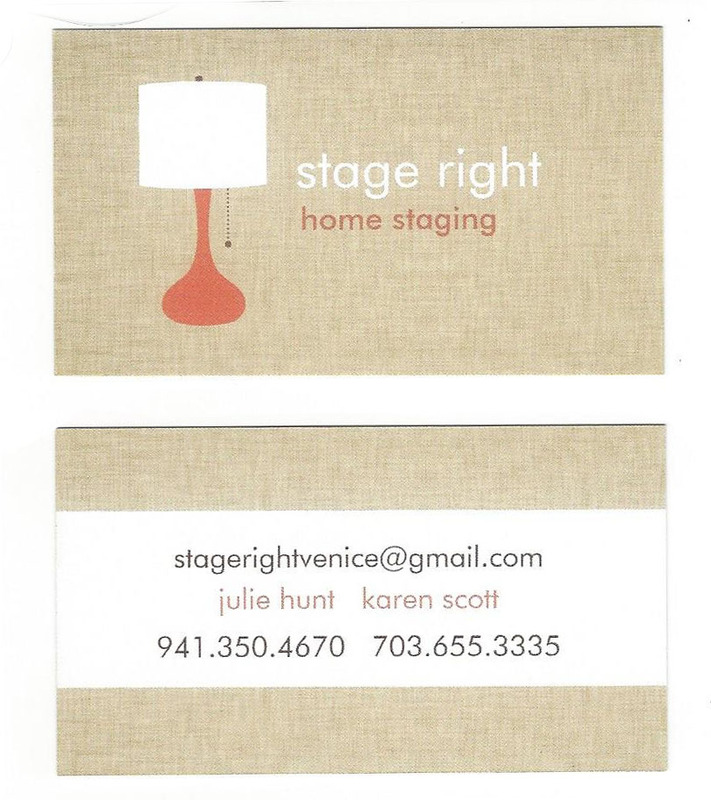 Stage Right Home Staging – Julie Hunt and Karen Scott provide expert help for those selling their homes, redecorating, or looking for design assistance.